Prof. OnChing Yue is the Science Advisor in the HKSAR Innovation and Technology Commission, providing assistance and advice to the Commissioner on technology development under the government's new strategic framework for innovation and technology. Prof. Yue was born in Macao, grew up in Hong Kong and immigrated with his parents to the United States in 1963. He joined the Radio Research Lab at Bell Labs in 1977 after receiving his Ph.D. in Electrical and Computer Engineering from the University of California at San Diego. After spending 26 years at Bell Labs, he became a visiting professor in the Information Engineering Department at the Chinese University of Hong Kong in 2003. In September 2005, Prof. Yue took leave from CUHK and joined the Innovation and Technology Commission. Before leaving Bell Labs, Dr. Yue was a department director in the Advanced Technologies division. His department was responsible for developing new algorithms and protocols for improving and predicting the performance and reliability of wireless networks. 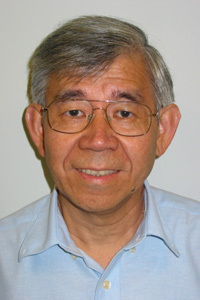 Prof. Yue has over 20 journal publications and over 30 conference papers. Among his 18 patents, the one on mechanisms for guaranteeing Quality of Service (QoS) in Internet Protocol (IP) networks was named as one of 2003's top five patented new technologies by MIT Technology Review in 2004. His research interests include wireless access networks (3G, wireless LANs and PANs), security (DDoS, priority access and sensor networks), and application QoS (VoIP, TCP, streaming video and games).